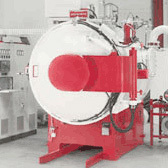 The Association for the Heat Treatment of Metals (hereafter the “Association”) is an independent non-political trade organisation and a voluntary affiliation of private individuals and companies. ATZK was established in order to bring together professional interests in the field of the heat treatment of metals and in the advancement of the level of this entire branch of technology. ATZK establishes and maintains organizational and professional contacts with foreign associations, primarily the International Federation for Heat Treatment and Surface Engineering and the German company AWT (Arbeitsgemeinschaft Wärmebehandlung und Werkstofftechnik). ATZK produces a triannual bulletin with information from the field, which keeps its members updated on its activities and events.